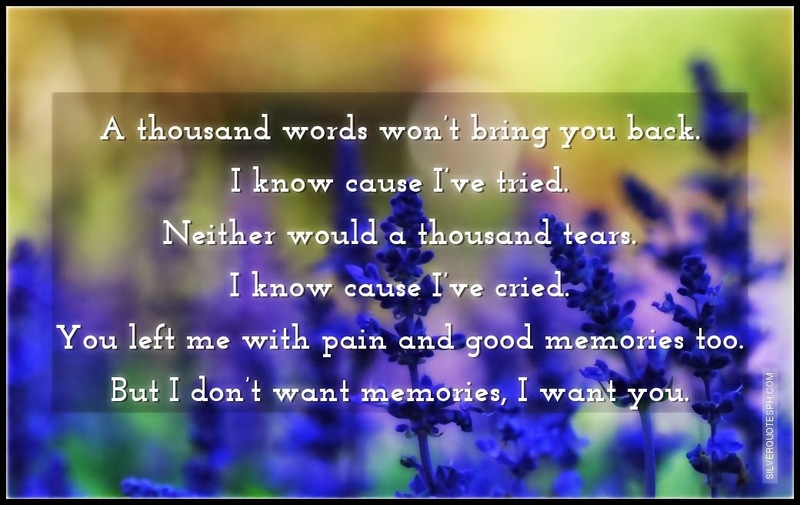 A thousand words won’t bring you back. I know cause I’ve tried. Neither would a thousand tears. I know cause I’ve cried. You left me with pain and good memories too. But I don’t want memories, I want you.